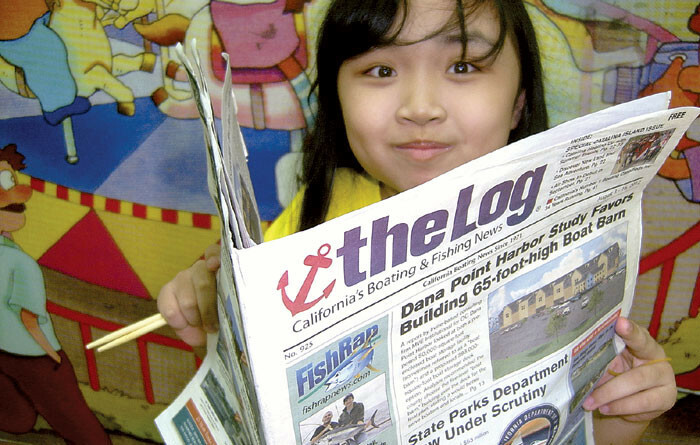 Hsinchu, Taiwan — Chang-Su-Chang Ruby Tsai loves to read about all the pretty boats she sees in a copy of The Log Newspaper brought to Hsinchu, Taiwan by Steven Choate of Orange, who is now residing in Hsinchu. Steven is the son of Colleen and Dennis Choate, owners of the yacht Recess in Long Beach. According to Steven, The children love to read The Log as a part of their daily English practice at Jordans International English School. As a side note, when the children wish to use the restroom they ask, Mr. Steven, may I please use the head?